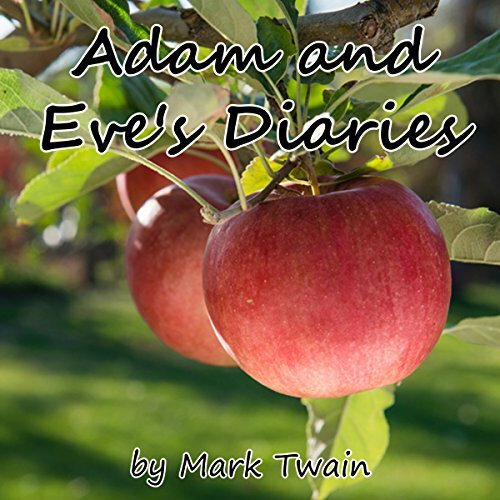 For all its satire regarding romance and religion, Mark Twain’s epistolary Adam and Eve’s Diary remains, at its core, a lighthearted pastoral ode to Twain’s late wife. Brimming with playful naivety, performers Walter Zimmerman and Cindy Hardin Killavey take turns on this journey of discovery, in which the freshness of God’s creation parallels the bloom of young love. From Eden through the fall, the two lovers experience a series of firsts together, acquainting themselves with the triumphs and tribulations of hard work, romance, and parenthood. Zimmerman and Killavey capture Twain’s famously whimsical wit, but never fail to betray the angst and tender yearning of these pioneering lovers. Here is Twain's humorous, but also touching, look at Adam and Eve, in which he presents two very different interpretations of Eden. Mark Twain's amusing satire on the Biblical story still carries a lot of punch. He reads back into the story a more contemporary clod and bumpkin of a man a somewhat flighty but curious and loving sort of woman into these human Originals. This humanizes the story and undermines the intended Biblical reverence for the originators of Original Sin and the progenitors of human planetary dominion. This is a worthwhile classic of literary iconoclasm. I would have rated the audiobook a 5-star complete winner except for the fact that the technical quality of the recording isn't as good as it should be. Twain's random version of the Adam and Eve story won't jive with any religion I know of... but it is a fun little listen that had me chuckling as the two "experiments" try to figure each other out. odd echo the whole way through. Too distracting. Odd echo the whole way through. Too distracting to really follow the story. I wouldn't recommend this version, though the written is a classic.